Decision making is not rocket science. It’s harder! The difficulty lies in the fact that while some decisions carry great weight, they can at the same time carry none at all. How can that be? The result of every decision is unknown beforehand. The consequences could be positive, or they could be a disaster. The range of outcomes is broad—too broad for consideration beyond, “Okay, that’s enough research. I gotta decide.” Decision theory and all its relatives can lend some structure, but the final tipping point boils down to the same unknown. 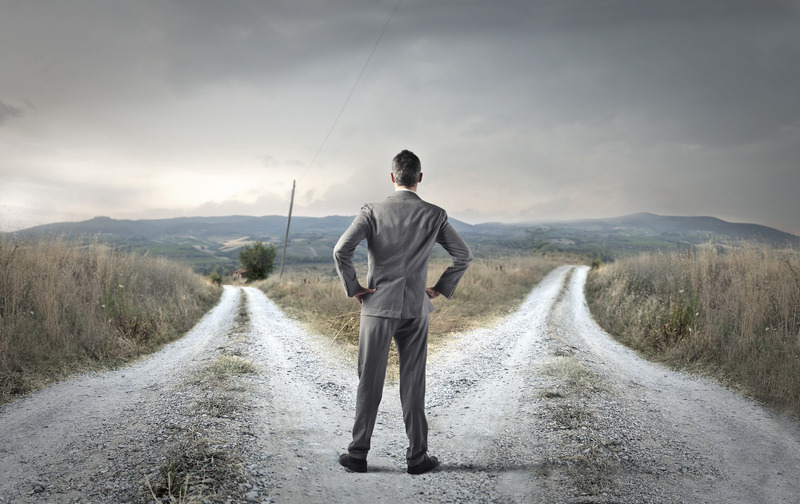 Decisions, choices, and choosing are topics that social psychologists, behavioral economists, and theorists on human behavior have been studying for years. Here are a few titles from my library. These and other authors have given TED talks on the subjects of choice and decision-making because people struggle with decisions, which contributes to the general feeling of malaise prevalent in our too-much-information society. Then, there’s that Gretchen Rubin “decision fatigue” element. When no one can take a stand, the grind can tear you up. Here’s the thing. A decision cannot be wrong because you don’t know exactly what you would have gotten from the other choice. That means every decision is right, even wrong ones. The decisions can be everything from getting married to having children to picking a restaurant. In business, the decision can be to launch a product or wait for more information. If the product is launched and flops, was the product not ready or was the decision-making flawed? Companies and people are wise to review the consequences of their decisions, yes, but also they are wise to revisit the process for making the decision regardless of the outcome. Whatever the situation, decisions require some post analysis. Choosing a restaurant is a small decision, but it can be draining (see decision fatigue above), and there are tons of good restaurants! And, by the way, there are too many brands of ketchup, toothpaste, and peanut butter. What about launching a product before it’s ready? Steve Jobs was a master at that, and he did okay. We have to stop worrying. Often, we ask the question: “What if I make the wrong decision?” Or this one: “What do I have to give up if I choose ‘x’ instead of ‘y’?” That’s FOMO, Fear of Missing Out. It’s a deadly acronym in today’s culture because we have so many things we can choose from, and thus such a huge opportunity to feel loss! Circling back: THERE IS NO WRONG DECISION. There is just learning. One learns from wrong decisions. And people should also study their successes, but they seldom do. If an event or product turned out well, was it because the decision-making system was right, OR was it plain, dumb luck? If it was the latter, the positive outcome is not repeatable, and the next occurrence could fail big time. ﻿It’s the one you make. As Elizabeth Gilbert says, indecision can paralyze us. If every decision is framed in the context of learning, you cannot make a wrong choice. As the past president and a continuing member of the Long Beach branch of the California Writers Club (a 501(c)3 nonprofit started in 1909), Kathryn helps newer writers find their voice. When she's not writing she's reading, playing the piano, doing yoga and flamenco or missing her dog.